Android’s market share is continuing to climb in the United States, and one firm believes that Google’s mobile operating system will continue to dominate the smartphone market through 2017. According to a report released by Ovum on Thursday, Android had a 44% share of the smartphone market during 2011, up form just 17% the year before. 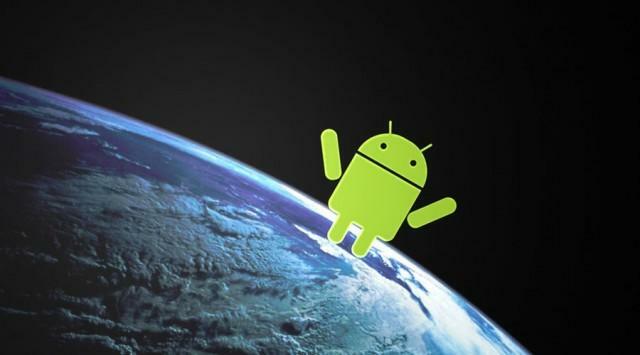 The firm believes that Android will obtain a 48% share of the smartphone market by 2017. The company also believes that phone makers will ship 1.7 billion units in 2017.
iOS had a 23% share of the smartphone market in 2011, according to Ovum’s figures, and that number is expected to climb to 27% by 2017 “Although it will remain behind Android in terms of shipment volumes, Apple will continue to be a key player and innovator in the smartphone market over the forecast period,” Leach argued. “We expect Microsoft, despite its slow start, to have established Windows Phone as a relevant smartphone platform by 2017.” Ovum said Windows Phone will have a 13% share of the smartphone market in 5 years. The analytics firm did not mention RIM or any predictions for its new BlackBerry 10 platform. London, 3 May 2012. Smartphones will outperform the overall market for mobile phones, growing at a compound annual growth rate (CAGR) of 24.9% for the period 2011–17 to reach 1.7 billion units, according to Ovum. Predictions show Android as the dominant operating system over the next five years as handset vendors rush to make it their primary smartphone platform. In its latest forecast*, the leading telecoms analyst house reveals global annual mobile phone shipments will grow at a CAGR of 6.3% between 2011 and 2017, driven primarily by demand from emerging markets where connection growth will continue to fuel handset shipments. New shipments in developed markets, such as North America and Western Europe, will be almost entirely made up of smartphones, while feature phones will continue to play a small role in emerging markets in 2017. Smartphones based on Android accounted for 44% of the smartphone market in 2011, significantly up from 17% in 2010. However, its share will reach 48% in 2017, as Android-based smartphones are expected to grow at a CAGR of 26.8% over the forecast period. Apple’s iOS will be the second most widely deployed software platform in 2017, accounting for 27% of the smartphone market, a slight increase on the 23% share of the market it reported in 2011. Sitting some way behind the Android/iOS duopoly will be the remaining smartphone players. The Windows Phone platform, with the assistance of Nokia, will account for 13% of the smartphone market in 2017. Despite losing significant market share since its high point in 2009, RIM’s BlackBerry platform will still represent 10% of the market in 2017.